A simple procedure that will help you make changes to your diet and lifestyle and keep the weight off. Orbera® does not involve surgery or long-term drug therapy. The balloon is placed and removed during a simple 20-30 minute endoscopic procedure, during which you will be mildly sedated. A key component of the Orbera system is the 12 months of education and support, from implantation to six months after removal, provided by Dr. Clinton Twaddell and his team. Orbera does not involve surgery or long-term drug therapy. The balloon is placed and removed during a simple 20-30 minute endoscopic procedure, during which you will be mildly sedated. A key component of the Orbera system is the 12 months of education and support, from implantation to six months after removal, provided by Dr. Clinton Twaddell and his team. It’s a short procedure with a short recovery and no incisions or scarring. No permanent changes are made to the digestive tract. Weight-loss benefits begin right away. Orbera has been shown to improve obesity-related co-morbidities such as metabolic syndrome, type 2 diabetes, hypertension, obstructive sleep apnea, hypercholesterolemia and hypertriglyceridemia. Orbera has FDA approval and proven effectiveness; it has been used outside the US for more than 17 years/200,000 patients. You’ll be lightly sedated while Dr. Twaddell uses an endoscope to insert a deflated gastric balloon into your stomach. Once in place, it’s injected with saline and sealed. The entire process normally takes around 20-30 minutes. 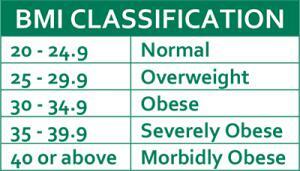 The most common measurement used to indicate whether a person is overweight is Body Mass Index (BMI). Use the BMI calculator in the right-hand column above. If you have a BMI of 30 or more, Orbera could be the solution for you. Dr. Twaddell and his team will be able to give you a more thorough health assessment based on your BMI and other relevant factors to ultimately determine whether you are a candidate for Orbera. Weight loss is rapid with Orbera, with most of it occurring during the first three months. Orbera is three times more effective than diet and exercise alone. How can I become an Orbera patient? followed by six more months of education and support and a healthy diet and exercise program after the balloon is removed. If you are ready to try this new, non-surgical approach to weight control, please call 817-774-5032.